Learn how S Group and Digital Foodie created a true on-demand success and reached every household in Finland. 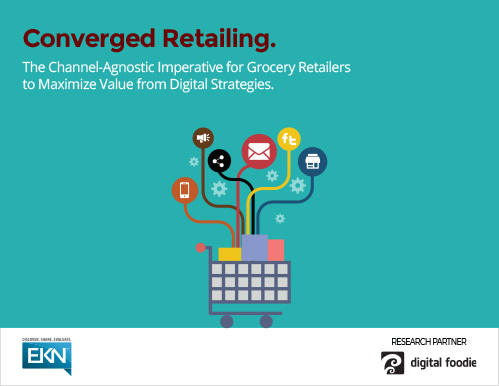 The grocery market leader in Finland needed to make a shift to the digital, so we joined forces and created a unique on-demand grocery service like never seen before. With more than 1600 outlets and a 46% market share, S Group understands the importance of catering to the constantly evolving customer expectations. 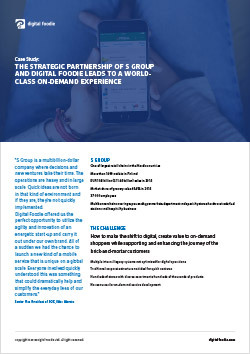 S Group picked Digital Foodie to make their digital transformation with a focus on strong customer engagement anytime or place. Together we moved S Group’s banners and assortment online and deployed Digital Foodie’s grocery app, a smart food shopping tool that has quickly become one of the most used applications in the country. 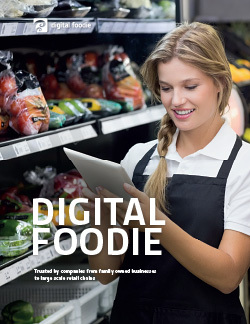 The implementation of Digital Foodie’s unique fulfillment solution improved the chain’s picking efficiency by 50% and enabled flexible home deliveries and Click & Collect services.